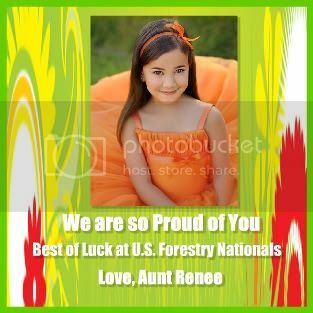 Welcome to the The Official United States National Forestry Pageant� message board affiliate of the GFPEA� since 1940. This board is for posting messages that pertain to the Official United States National Forestry Pageant� and Forestry contestants from all States. If you would like to direct a Forestry Pageant in your county or state, please contact us. Visit the Miss Georgia Forestry messageboard http://www.voy.com/16241/We are accepting applications for the 2017 US National Forestry Scholarship Pageant..represent your state..watch for the National Forestry Queens in a National tv commercial promoting the Forestry Industry. You will learn from Judges who have over 30 years experience. You will participate as a judge in a hands on Mock Pageant during the seminar. The Mock Pageant will consist of Baby, Teeny, Tiny, Little, Junior, Teen, Miss, and Ms. contestants. Areas of competition that will be taught are Personality, Beauty, Gown, Overall Appearance, Poise, Interview, Public Speaking, Onstage Question, as well as appropriate attire for Interview, and appropriate hair, and makeup. These areas will cover all age divisions. 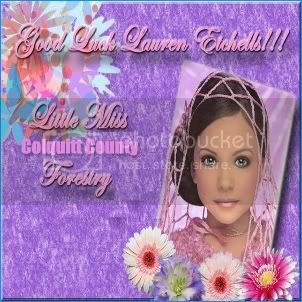 You will be trained to judge age divisions for Baby, Teeny, Tiny, Little, Junior, Teen, Miss, and Ms.
Hello, I'm Miss U.S. National Forestry Joleigh Sartiano. 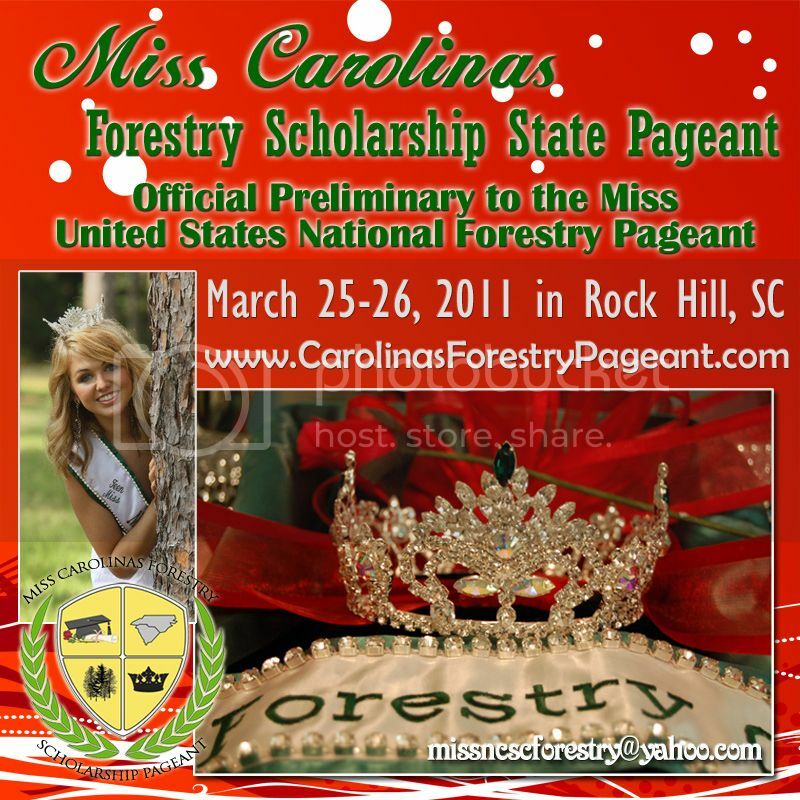 Please join me at the Miss Carolinas Forestry State Scholarship Pageant on March 27,2010 in Rock Hill, SC. The Forestry pageant is more than just a pageant. It recognizes the beauty and intelligence of young women. Fellow contestants become more than just friends, they become sisters. Forestry is a very important industry that creates jobs and helps the economy. It has been such an honor this past year to promote such an industry Nationally. The scholarship awards offered have helped many young women including myself attend college. This experience has truly changed my life as I promise it will yours. The host hotel is the *NEW* Holiday Inn at 503 Galleria Blvd in Rock Hill, SC. Group rate is $99 and will end March 1, 2010. Don't delay, book your room today! 803-323-1900! Anyone interested in entering the hospitality queen competition for North and South Carolina, please email us as soon as possible for information. The deadline to enter is March 1, 2010. Get your forms in soon! 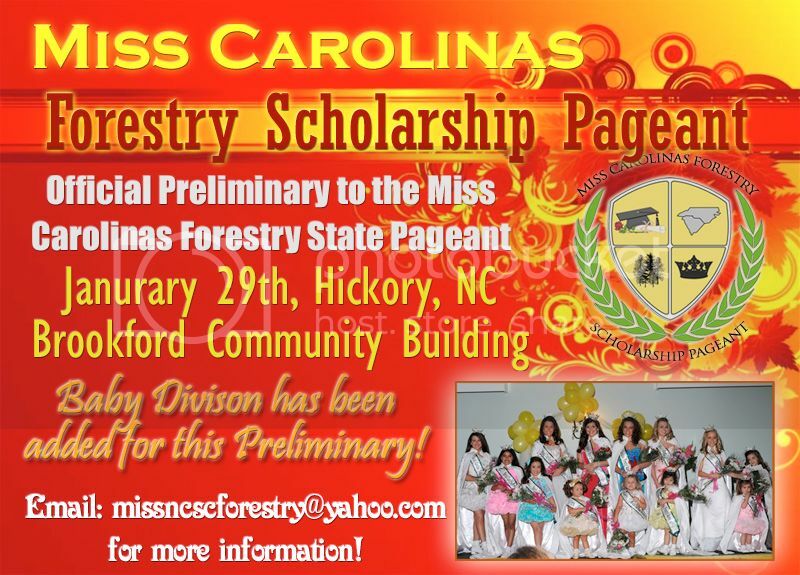 email NC SC Forestry Scholarship Pageant today! The Holiday Inn in Tifton will be our Host Hotel for the National Forestry Pageant. You need to mail or fax in your reservation form right away to get the discount rate. If you don't have a reservation form, email me at usnationalforestrypageant@yahoo.com and I will email you a form. I just wanted to wish everyone good luck this weekend!!! I can't wait to see all my old forestry friends and I'm looking forward to making new ones. See you this weekend!!!!!!!!!!!!!!!!!!!!!!!!!!!!!!!!!!!! The National Forestry Pageant was a great success. I want to thank Connie, Charlotte, Victoria, and Carla for traveling to the Coast with my family and I, to help with the National Forestry Pageant. You are very much appreciated and loved!!! To my children, Sistie, Shiree, Shelley, and Gene, your love and support means the world to me and to my husband Phil, thank you for being my travel companion and loading and unloading everything for me. You put up with a lot for me to do something that I truely love and enjoy doing. I love you all, you are my life!! To Brian and Candace, thank you so much for all your support and sponsorship of the Low Country Boil...it was wonderful. Thank you for coordinating the Queens' dinner last night and for all the kind gestures you provided over the weekend and the weeks prior to the pageant. Thank you Eliza for being there to help Candace. Thank you to the reigning National Forestry Queens, Kyndal, Kelsey, Madison, Kaitlyn, Kaylee, and Kelsey along with your families for all your support. I know God has many good things planned for your future. Thank to our judges who traveled from Tennessee and Mississippi to judge our National Pageant. I know your job was tough!! spectacular opening number and entertainment. South Central Dance Academy can DANCE!! Thank you to Glynn Academy, I believe this was the nicest group of people that I have ever dealt with in my 30 year history. What a beautiful facility to crown our National Forestry Queens in!!! Thank you to Angelique Harville Miss Georgia United Nation for emceeing our National Pageant. What a special young lady! She will be representing Georgia at the National United Nations Pageant in South Africa and we all know, she is going to bring that National title back to Georgia. We will be cheering for her!! Thank you to Hodnett Cooper and the Beach Club, the condos and facilities were wonderful!!! Thank you to Karen Kelley of Kelley's Photos and Jimmy Holloway our videographer for traveling to the coast to be our official photographer and videographer, your work is the best! Thank you to the Glynn County Forestry Unit and Mark McClellan for bringing Smokey Bear to the pageant and helping crown our new National Forestry Queens. Thank you to our Georgia and Florida Forestry Families. I love you all! Stay tuned National Forestry is tripling this upcoming year! Thank you to all the parents and contestants for sharing your children with the Forestry Family. You all were great and any of you would have made wonderful National Forestry Queens. Don't ever give up on your dreams! I saw many girls who had worked very hard and saw so many girls that had improved 100% on public speaking skills and stage presence...that's what pageants should be about...improving one's self and you all proved that this weekend! To our newly crowned National Forestry Queens, you will have an exciting year ahead of you! We've already been invited to some National Forestry events. You will be seeing the newly crowned queens in the National spotlight this upcoming year, stay tuned and keep watching!! If you would like to direct a local forestry pageant or become a pageant judge, we invite you to join us! Just a reminder that our directors meeting is at 10:00 A.M. and the judges training is at 2:00 P.M. at the American Legion Home in Tifton this Saturday, August 11th. Here are the directions to the American Legion. TAKE INTERSTATE I-75, GET OFF ON EXIT 64, GO SOUTH ON HIGHWAY 41 UNTIL YOU COME TO THE FIRST TRAFFIC LIGHT, YOU WILL TURN RIGHT ONTO 20TH STREET AT THIS TRAFFIC LIGHT. RIGHT AFTER YOU GO OVER THE RAILROAD TRACKS, YOU WILL IMMEDIATELY TURN LEFT. THE AMERICAN LEGION HOME WILL BE THE BRICK BUILDING ON THE RIGHT. IT HAS A DRIVE THROUGH PORCH ON THE FRONT. I can't wait to see everyone Saturday. 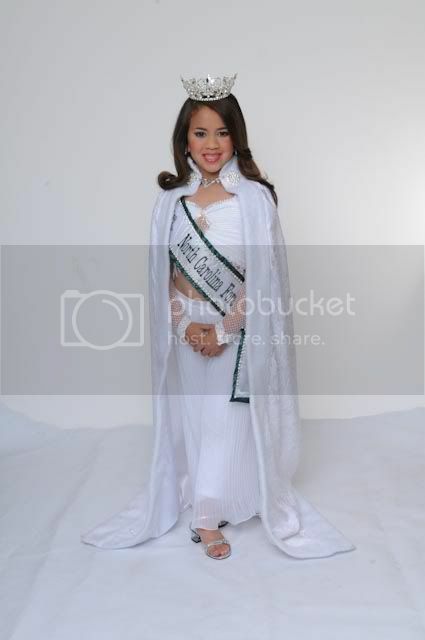 McKenzie Belle is very honored and excited that she was crowned the very first Baby Miss US National Forestry Queen. We are looking foward to a great year. She's also excited that her cousins Kylie and Karley are Queens with her!! 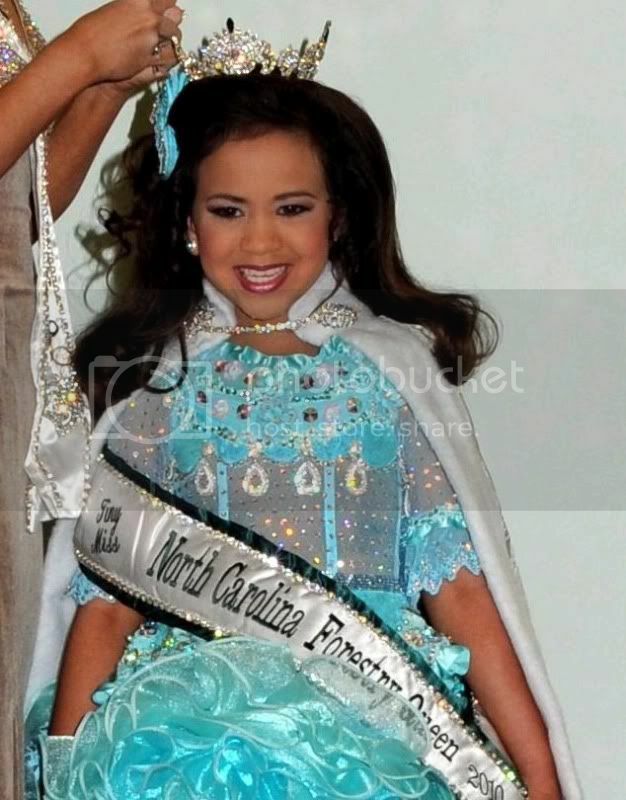 Congratulations to all the beautiful young ladies who won the 2011 Miss US National Forestry Pageant!! I am looking forward to a fun filled year with my new sister queens. Also, congratulations to all the young ladies that placed in the pageant as well. Keep doing what you love and all the hard work will pay off! 7:00 P.M. Little, Junior, Teen, Miss, and Ms. Doors will open one hour prior to the pageant. 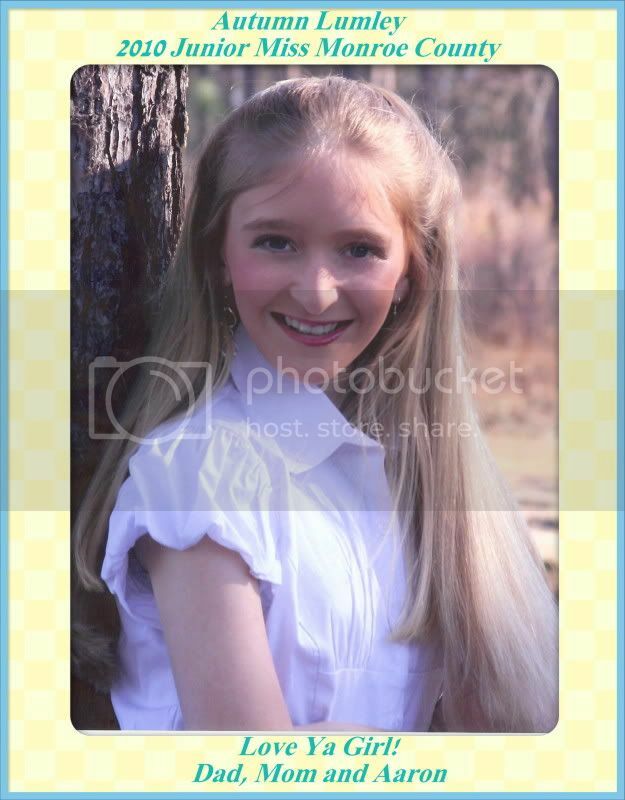 With 16 years of experience with the Forestry Pageants, she will book fast! If you have not yet booked your hair and makeup appointment with Miss Lacey dont wait till its too late! Teeny, Tiny, Little and Jr completely booked openings for Teen and Miss only! Dont forget to book early for Forestry Nationals there are limited appts available!! HAIR AND MAKEUP WITH MISS LACEY...PRICELESS!!! I heard earlier from the queens. As you all know they traveled to Tampa today as special guests in Gasperilla Parade. They said there were around 50,000 people at this event. The queens road on the Gasperilla float which was a large pirate's ship. There television stations everywhere, even flying over them in helicopters. The parade was nationally televised. The parade was around 3 hours long. We won't to thank the Gasperilla Committee for inviting the Forestry Queens and especially having them as special guests on their float. They also provided them with beads to throw out during the parade. If you are interested in representing your county at our upcoming state pageant, please contact us to claim your NC or SC title. Evans County Forestry pageant will be held on November 13, 2010 at 5:00 pm at the Claxton Middle School, in Claxton, Georgia. Deadline for applications is October 23, 2010. To request an application or more information, please contact Brandy Foskey at monkeysmom2006@yahoo.com or Crystal Massey at crystalmassey2000@yahoo.com. 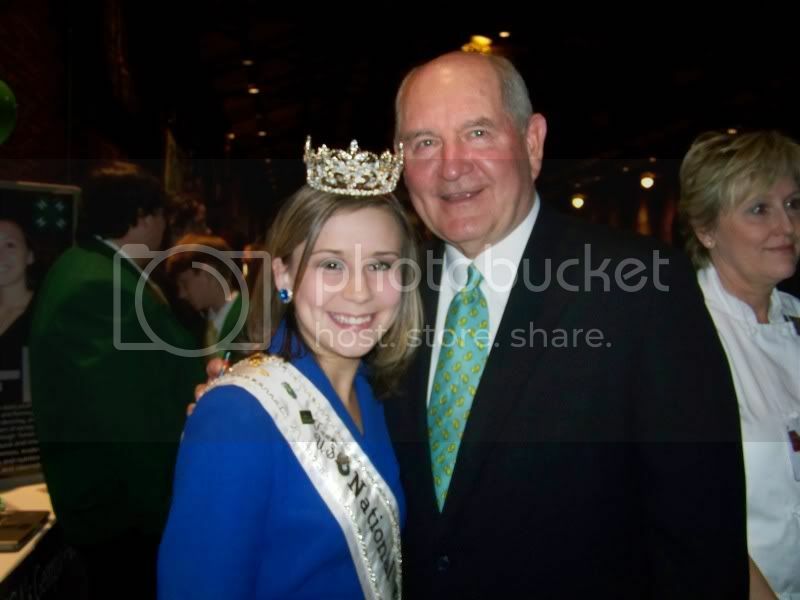 Subject: This is a precious picture of our Georgia and National Forestry Queen, Joni Cox. Subject: Our State and National Forestry Queens represented the Forestry Industry well at the Plains Peanut Festival. They had the honor of meeting former President Jimmy Carter. We are so proud of them! Subject: Congratulations to the National Forestry Winners! Do your thang Niki & show everybody what your all about! Subject: The National Forestry Pageant is all set and ready to go! Wow, what some beautiful girls we have competing! I want to wish all of you the best of luck, remember to smile, make friends, and have fun! Remember, there will be only one girl in each age group that will win the crown, but you all are winners. You have worked very hard to make it to the National Pageant and the Forestry Pageant system is so proud of all of you! You are all competing as Forestry Queens and will go home as a Forestry Queen. We would be proud to have any of you as our National Queen! We have a lot of work left to do in promoting the Forestry Industry for our States. Thank you to Frank and Susan Moore, Directors of the Carolinas Forestry Pageants, Victoria Lovett, Director of the Florida Forestry Pageant, and all the Local Directors throughout the states who helped make this pageant possible! Thank you for putting your queens first! 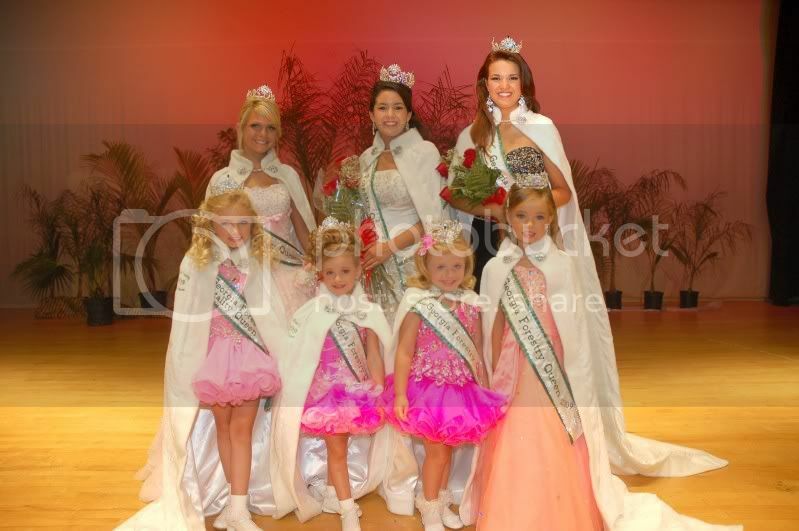 Thank you to our reigning National Forestry Queens, Abbigail Goddard-Teeny Miss(you are a breath of sunshine), Tiny Miss-Madison Burris(you sparkle everywhere you go), Little Miss-Megan Gafford(you are such a sweetheart), Junior Miss-Madison Green(a crazy beautiful mess of a girl), Teen Miss-Stephanie Hill(so dedicated...keep it up and continue to reach for the stars), Miss-Joleigh Sartiano(a true inspiration for everyone), Miss Hospitality-Hannah Courson(so so sweet and kind, your smile lights up a room), Ms. Courtney Reynolds-(so sweet and pretty). I am going to miss all of you very much. You were a great group of dedicated queens. I wish you all the best and I know God has great plans for each of you. To the 2010 queens, you have some tough shoes to fill! I can't wait to see everyone Friday night at the dinner and dance! I pray for safe travels for everyone! We invite everyone to join us this Saturday for the National Forestry Pageant. Come on out and cheer for your favorite contestant and your favorite state! Teeny and Tiny compete at 5:00 P.M. Little, Junior, Teen, Miss, and Ms. compete at 7:00 P.M. The Pageant is at the Performing Arts Center at the Tift County High School. Join us for the Enchanted Forest. Sister Desi, Brother's Chad & Steven! Way to go Amanda and Faith!! We are so proud of your accomplishments. You are a beautiful, sweet girl and we know you will go far! We wish you all the luck in the world in whatever you do. We are so proud of you and wish you all the luck in the world. You are beautiful both inside and out. You are going to do great things!! See you Sat in Tifton. 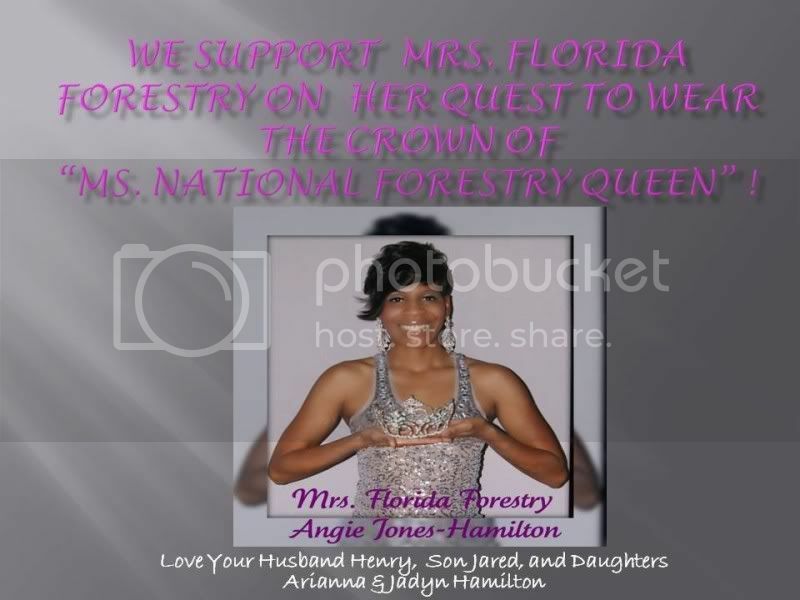 We support Mrs Florida Forestry in hopes of wearing the crown and being the new "Mrs. National Forestry Queen"!!! The ads will be placed on facebook, this message board, the Georgia Forestry message board, and will be shown on big screen tv's in the auditorium during the pageant! 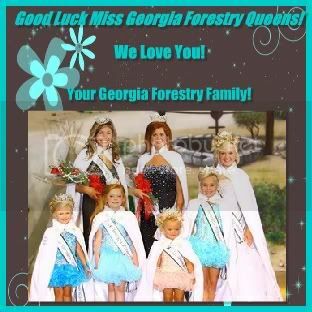 Subject: Good Luck Georgia Forestry Queens! Subject: Good Luck Florida Forestry Queens! Subject: Good Luck Amanda and Faith!! Good luck to you both - Baker County is proud of you!!! Teeny and Tiny Miss 5:00 P.M.
Little, Junior, Teen, Miss, and Ms. 7:00 P.M.
Subject: DRESSES FOR SALE!! ALL HAVE BEEN WORN IN FORESTRY!! Joleigh Sartiano got accepted to GRAD SCHOOL!!!! She will receive her Masters in Non-Profit Management. This Fall she will open a homeless day shelter, A Place 4 Hope, in Albany. A Place 4 Hope was the outcome of her undergraduate research project that took place last Summer. Joleigh graduated from Albany State University this past May with her BA in Political Science with a minor in International Affairs. In lieu of traditional graduation gifts, Joleigh requested donations of laundry supplies and showering essentials be donated to A Place 4 Hope, which will offer showering and laundry facilities to those in need. You have a heart of gold!! We are very proud of you! Joleigh Sartiano meet with Congressman Sanford Bishop to discuss Diabetes funding. Congressman Bishop is a co-sponsor of a bill in Congress, HR 3668 that will provide 5 billion dollars for research specifically for Type I, or Juvenile Diabetes. Joleigh is a Type I Diabetic. There is no cure for this disease. The only treatment is insulin injections. Hopefully, if this bill is passed, a cure can be found. She hopes Congress will pass HR 3668 in hopes of finding a cure for herself and many others. Otherwise diabetics will eventually die from complications of this disease. And the complications are many! On average, diabetics have a decreased life expectancy of 15-27 years and have a 2-4 times greater risk of having heart disease and stroke. 75% have high blood pressure, 60-70% have nervous system disease, and it�s the leading cause of blindness in 20-74 year olds and the leading cause of kidney failure. Diabetics have a greater than 60% chance of non-traumatic lower limb amputation, often have dental disease, complications from pregnancy, and are more susceptible to other illnesses and more likely to die from pneumonia or flu. This is a very serious disease. It affects everything you do in your life, and everything you do in your life affects your diabetes. Even the timing of the things you do is extremely critical. This is a 24/7 illness. Joleigh hopes Congressman Bishop will push to have this bill passed and will be successful in influencing his colleagues to vote for it also. Subject: Get those National Forestry applications in! Labelle will be there doing our videos, pictures, lights, sound and stage production! For hair and makeup visit our website at missusnationalforestry.com and click on the link for hair and makup. Girls don't miss out, get your applications in! The official National Crown with amber, smokey topaz and AB crystals, white velvet monogrammed robe, custom rhinestone studded sash, crowning pin, scholarships, savings bonds, and more prizes to be added. Your chance to be in National magazines!! The Teen Miss Georgia Forestry Queen Madison Giddens and Miss Georgia Forestry Queen Joni Cox are in Nashville Tennessee filming for an upcoming Country Music Video. They will be in atleast two scenes. We are so excited for them!!! Subject: Applications are being accepted for the National Forestry Pageant. Local Directors and State Directors were emailed applications tonight. If you are interested in competing email me at usnationalforestrypageant@yahoo.com or contact your local or state director. Georgia Girls who competed in Local Forestry Pageants or the State Forestry Pageant. Your local director was emailed the applications tonight and they should be forwarding an application to you. Enter by July 15th and receive $50.00 off your entry fees. We hope to see everyone at Nationals, it is going to be so much fun this year! The Hilton will be our official motel for Nationals! 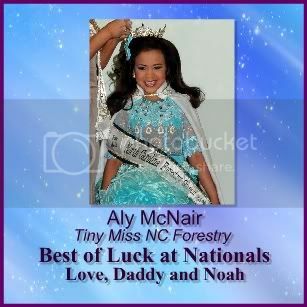 Subject: Aly McNair Tiny Miss North Carolina Forestry will promote Forestry in Las Vegas Nevada. Way to go Aly!! Don't miss your chance to book! Click on the banner to secure your spot. Subject: Wow, what beautiful girls! 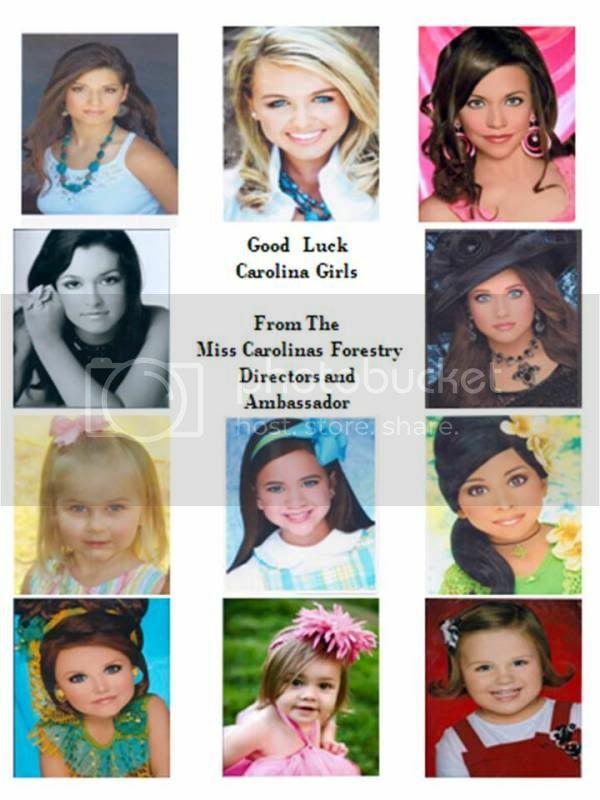 Congratulations to the newly crowned Miss North Carolina and Miss South Carolina Forestry Queens. We can't wait to have you join us for the Miss United States National Forestry Pageant in September. Congratulations to Directors, Susan and Frank Moore. 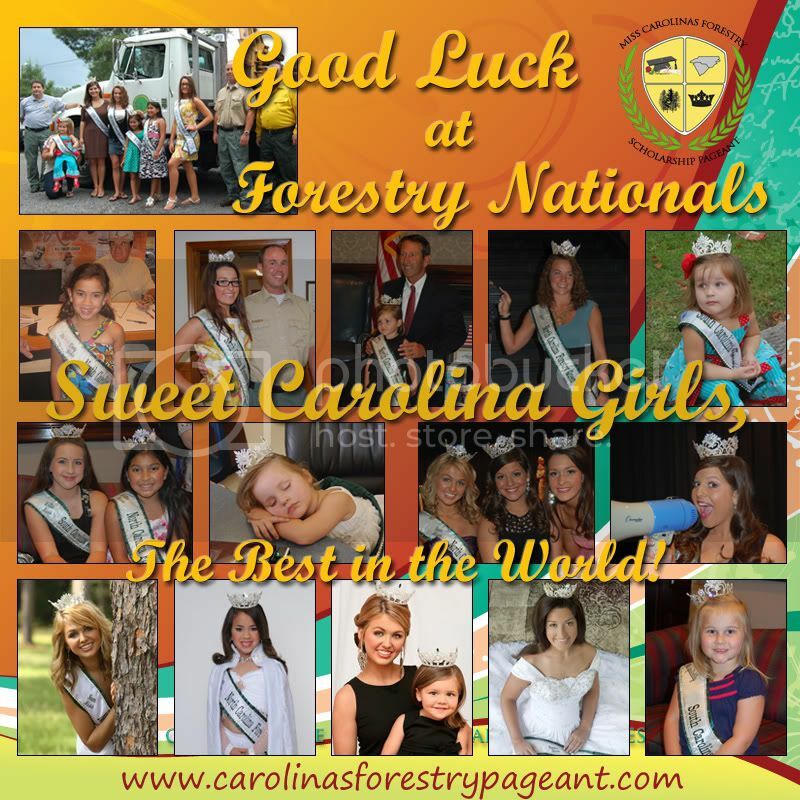 Subject: The GFPEA wants to wish all the girls competing for the North and South Carolinas Forestry titles this weekend the best of luck. We can't wait to have you join us for the National Forestry Pageant. You have some awesome directors who have worked extremely hard to make this a fun and fair pageant for the girls in the ...Carolinas. Frank and Susan, we wish you the best of luck this weekend, we know you will have an awesome pageant...it can only be the best with you two directing. We are so excited to have the Carolinas joining the Forestry Family! God Bless to all of you and girls, remember to smile, make friends, and have the time of your life!! We wish you great grace this weekend and pray that the peace and wisdom of our great God be with you. You were amazing at State - your beauty, elegance, poise and intelligence were unmistakable and inimitable. You are truly a winner in every sense of the word. Keep in your heart the meaning of your name. We gave it to you as a prophecy of who you would become. "Remember the plans I have for you, says the Lord..."
Subject: Contact me at zimmerheather@gmail.com if you are interested in this winning ballgown! Come join us for a chance to represent Bryan/Chatham County at the 71st Annual Georgia Forestry State Pageant! The Georgia Forestry State Pageant is the oldest scholarship pageant in the state of Georgia!! For more information you can contact the director listed above by phone or email. You can also visit the above website to download an application. Baby thru Miss Queens -will receive a beautiful rhinestone crown, satin monogrammed sash, crowning pin, trophy or plaque, and the opportunity to represent Bryan/Chatham County in parades and appearances! 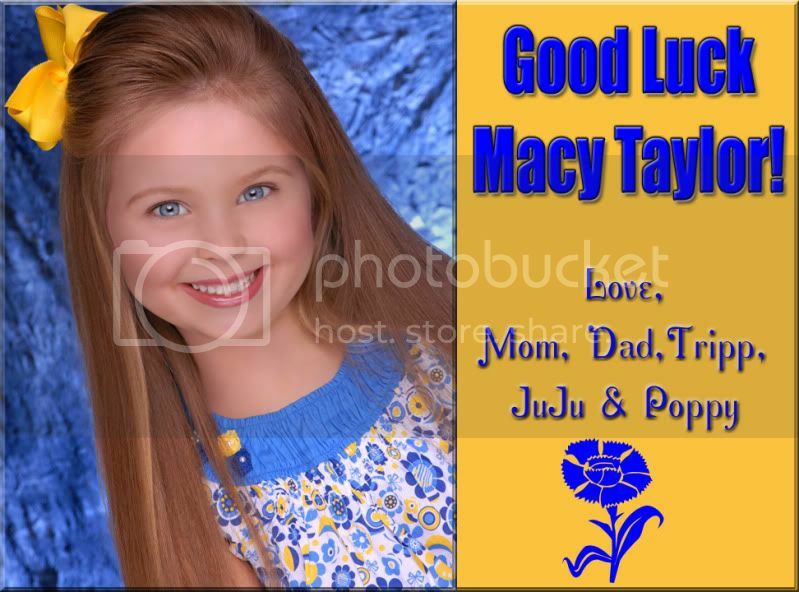 Teeny thru Junior Miss will also receive their beauty fees paid to the state pageant and a savings bond. Teen & Miss-will also receive their beauty fees paid to the state pageant and a cash scholarship! Optional Winners- will receive a trophy or plaque! Hospitality Queen- The girl selling the most ads (minimum of 10) will receive all the gifts as the Teeny-Junior Miss, including her state beauty fees paid! Popularity Princess- The girl receiving the most $1 votes will win a beautiful crown, satin monogrammed sash, crowning pin, & trophy! The Bulloch County Forestry Pageant will be on January 16th at the Brooklet Elementary School in Brooklet Ga.
Don't miss out on a chance to go to The Georgia Forestry State Pageant. Subject: Taking Applications now for EMANUEL COUNTY FORESTRY!!!!! The Emanuel County Forestry will be held on Febuary 6th in Swainsboro Ga at the Swainsboro Auditorium. Get your Spot reserved now!!!! Call 912-660-8053 or visit the website at http://bullochcountyforestry.tripod.com for applications and more information. All winners State fee's will be paid to The Georgia State Forestry Pageant to be held in June!!!! 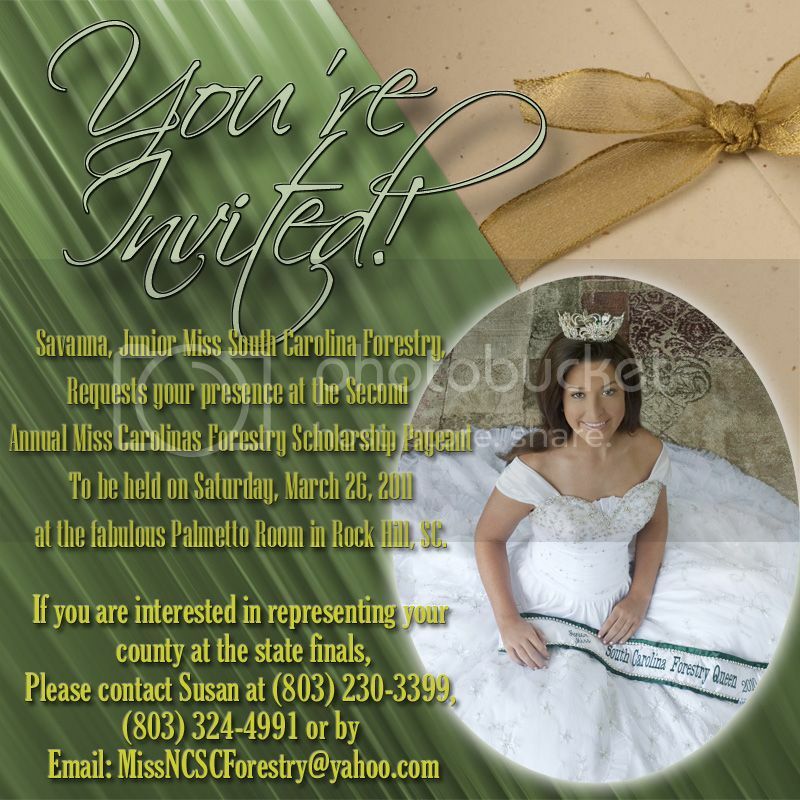 The Worth Co. Forestry Scholarship pageant will be held on January 9, 2010 in Sumner, GA @ 5pm. Entry fees will be paid for the newly crown Queens entering the 71st Miss Georgia Forestry State pageant. Large gift baskets, round crowns and satin sashes. LOW NUMBERS!! Joleigh was invited back to Florida for the State FFA Forestry contest. She is there tonight speaking at their dinner to the entire group of teachers, students, and parents. They met her at the National Forestry Festival and was very impressed with her...and ask her to be their guest speaker. Way to go Joleigh! We are proud of you!! Must enter all optionals except talent to qualify for Overall Queen titles. 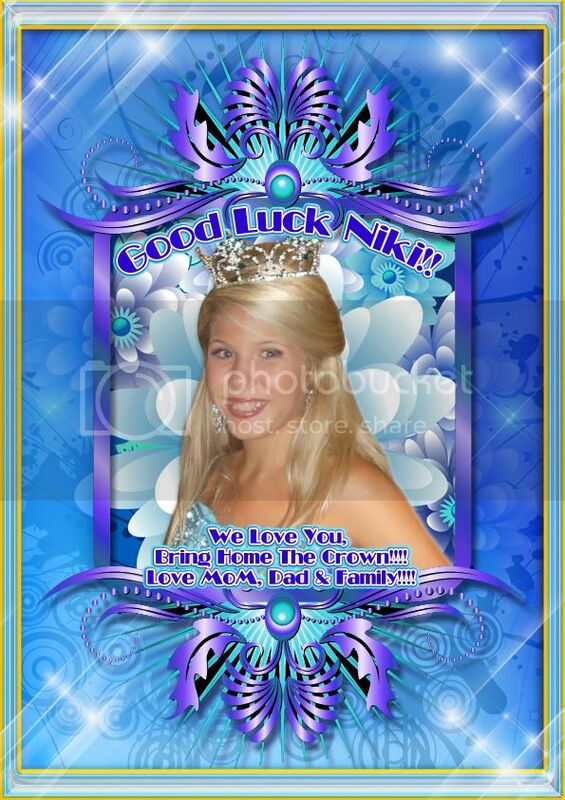 Overall queens will receive beautiful crown, custom sash, crowning pin, trophy, and cash award. There will be a winner and three runner-ups named in each age division. Queens will receive beautiful crown, custom sash, crowning pin, trophy, and savings bonds. Runner-ups will receive trophies and all contestants will receive a trophy. Proceeds benefit the Kenneth Snow Scholarship Fund. Open to all states and all counties. For questions or to receive an application email Dianne Dominy at hopepageant@yahoo.com or call 229-386-2681 or 229-238-2851. Mrs. Angie Green will be there for hair and makeup...call her at 912-366-8288. If anyone would like to be added to the hair and makeup list, let me know. As always, you are welcome to bring your own hair and makeup person. I want to thank our National Forestry Queens...Joleigh Sartiano, Stephanie Hill, Madison Green, Megan Gafford, Madison Burris, Abbigail Goddard, and Hannah Courson for representing Forestry so well at the National Forestry Festival. I've had a lot of compliments already on you. You set wonderful examples for the Forestry Industry. Your integrity, pride, and respect toward your titles really shined. You make us all very proud and we all love you very much. Thank you to Victoria Lovett for making all the arrangements and getting such nice motels for the girls and letting them know where to be for all the events. Thank you so much for chaperoning the National Forestry Queens. Thank you to the City of Perry and the Forestry Rangers for having us as your special guests and for providing the transportation for the queens to all the events. Thank you to the Forestry Rangers for building a special float for the girls. It's my understanding they spent all last year building this float. Again, thank you all for your support of the Miss Forestry Pageant. Subject: The Miss Florida Forestry Queens will be special guests at the Florida Gators Homecoming Parade and festivities this weekend. Masie Kinsey-Teeny Miss Georgia Forestry Queen, Riley Griffin-Tiny Miss Georgia Forestry Queen, Hannah Gibson-Little Miss Georgia Forestry Queen, Hannah Courson-Miss Georgia Forestry Hospitality Queen, Madison Green-Junior Miss Georgia Forestry Queen, Tess Hammock-Teen Miss Georgia Forestry Queen, and Erica Moore-Miss Georgia Forestry Queen. The girls will be promoting the Forestry Industry for Georgia this upcoming year. The Forestry Pageant is a registered trademark of the GFPEA. 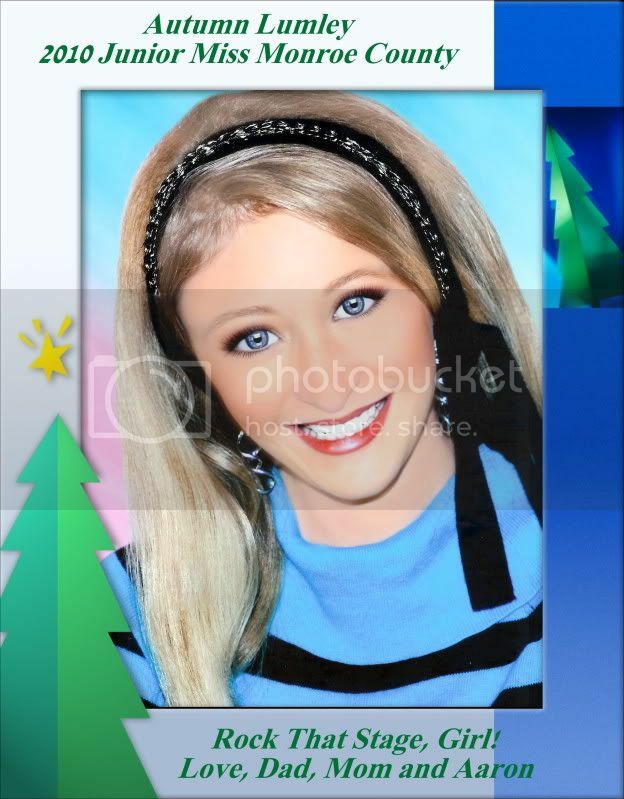 Subject: Congratulations Hannah Courson 2009 Miss U.S. National Forestry Hospitaltiy Queen. We love you, mama, daddy and will. Thank you Ms Lacey for making me look so beautiful your the best. Ms Angie Green for all your help with my hair and dress. Ms Bobby for renting me the good luck dress. Mrs. Dianne for all your help with Tift Co, State, and National Forestry Pageants. To all my sponsors without you I wouldn't have been able to compete. And a special thanks to my family for cheering me on and believing in me. I am looking forward to a wonderful and fun filled year! Thanks again to everyone! Your Mom and Dad are so proud of you !!! Subject: Good Luck Keri Lynn Knight! Good Luck Keri Lynn and We Love You! Subject: Good Luck Megan at Nationals!!! Love mom and Dad and Matthew !!!! You rock it girl !!!! Subject: GOOD LUCK BAILEY !!! Good Luck Bailey !!! From Your Decatur County Sister Queen GO ROCK THAT STAGE GIRL!!!! Subject: Good luck, Augusta! Bring that Miss US National Forestry crown down to Gator Country! Subject: Good Luck Bailey Nunnery!!!! Good Luck Bailey!!! Show the Judges your winning grace and smile. We love you!! Love Mommy and Daddy. Subject: Good Luck To My Cousin !!! Subject: Good Luck To My Sister Queens !!! 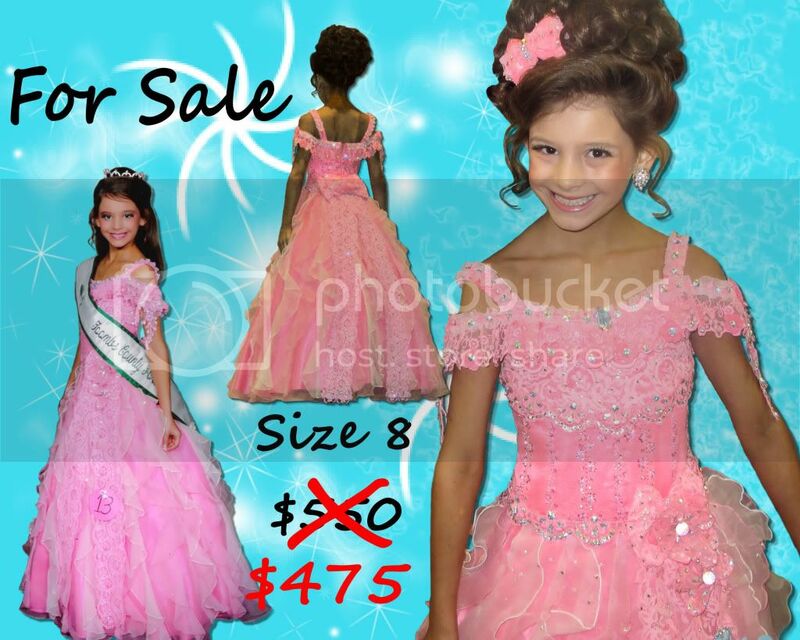 Subject: pageant dresses for sale!!! Ice blue Jovani- size 2- it has been altered, but nothing has been cut off, so there is plenty of wiggle room. It was worn once at the state teen pageant in 2004. Its really beautiful and shows up so well on stage! was originally $750 and I'm selling for $300. White Jasy Couture by Adagio Bella- size 6- altered to a size 2, but no fabric was removed. Gorgeous strapless gown with liquid beading that shows up so well up under lights. worn once. White Mike Benet- size 2- was a perfect teen gown of chiffon and beading- altered, but again nothing was cut off. asking $200. never worn and is in mint condition. ****also, I have jewelry and shoes to go with a lot these things- all shoes would be a size 6. ****note that all of these items have been gently worn and are missing no rhinestones ect. Subject: GOOD LUCK TO MY BABY AT NATIONAL !!!! 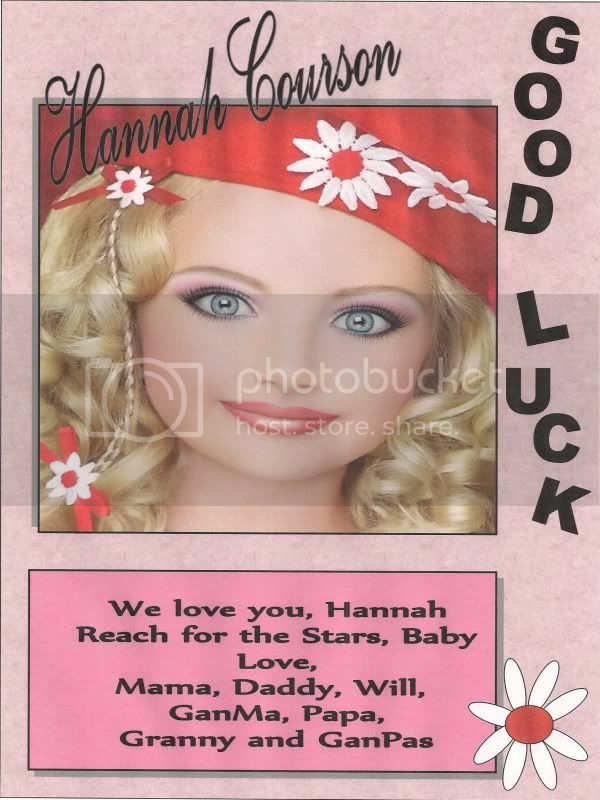 GOOD LUCK HANNAH JO GIBSON, Little Miss Ga Forestry 2009 Go Rock That Stage Girl!! We Love You!!! Your Are our Queen no matter what!! Subject: HAPPY 65th BIRTHDAY to our BFF, SMOKEY BEAR!!! From your National US Forestry Queens, April,Tess, Haley, Hannah, Kelsey and Macy We love you, Smokey!!! Where do we check-in and get our number? 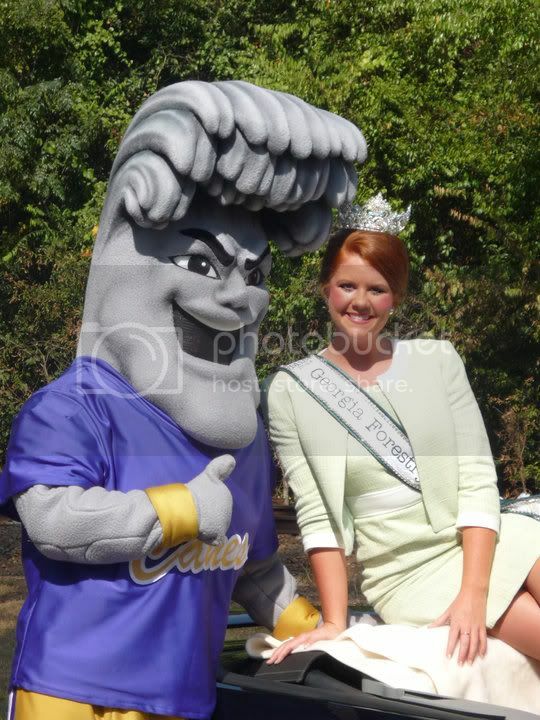 First Annual Miss Carolinas Forestry State Pageant In The Spring of 2010! of North and South Carolina between the ages of 2 years and 23 years!! Winners will be awarded for both states!! LOCATION & DATE TO BE ANNOUNCED!! Subject: Good Luck Abigail Goddard!!!!! Good luck at Nationals Abigail! You're always a winner in our eyes! Get out there and smile big time baby! A special thanks to all those who sponsored her. Tifton's local business really came through for there Teeny miss Tift county queen. We love you Abigail! 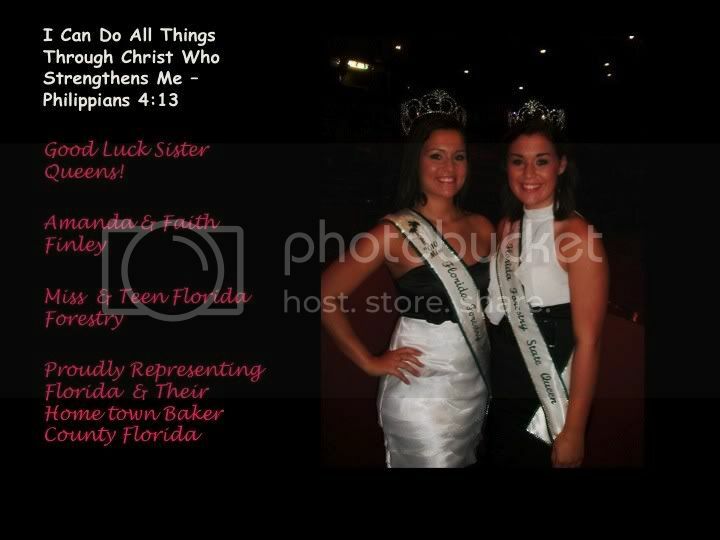 Subject: Congratulations to the newly crowned Miss Florida Forestry Queens crowned tonight! We look forward to seeing you at National Forestry! 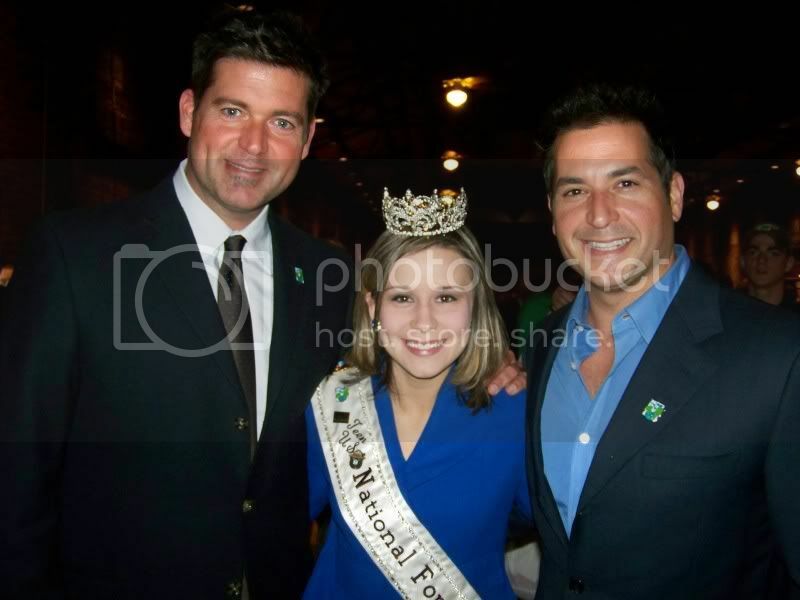 Subject: HAPPY 15TH BIRTHDAY TO VICTORIA TESS HAMMOCK, 2008 TEEN MISS US FORESTRY QUEEN!!! The Miss Florida Forestry State Scholarship Pageant is an official preliminary to the Miss United States National Forestry Pageant. 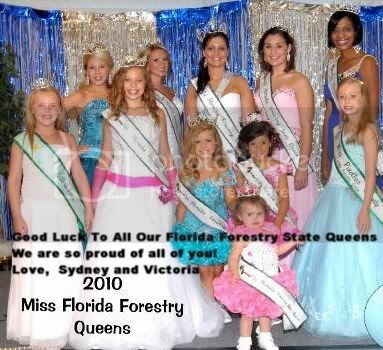 The Miss Florida Forestry State Scholarship Pageant was started in 2004 by Mrs. Dawn Etchells and the first pageant was launched by Mrs. Etchells in 2006. The Miss Florida Forestry State Scholarship Pageant is a trademark of the Miss United States National Forestry Pageant sponsored by the GFPEA. The GFPEA is an Educational Association that provides scholarships for young ladies while promoting the Forestry Industry. The purpose of the Miss Florida Forestry Pageant is to provide scholarships to Florida's outstanding young ladies while promoting Florida's Forestry Industry. Mrs. Etchells directed the Florida Forestry Pageant until the end of 2007 and at that time, Mrs. Victoria Lovett was appointed the State Director by the GFPEA. The Georgia Forestry Pageant and Educational Association, Inc. along with Mrs. Dawn Etchells is responsible for bringing the Florida Forestry Pageant to Florida. The GFPEA is the oldest running scholarship pageant system, they just celebrated their 70th year anniversary! Leigh LaCroix will be doing hair and makeup for National Forestry, please give her a call or email her. Leigh is from Mississippi. September 5, 2009 Tifton, Georgia!! Claim your state or county today! the Forestry Industry in your state!! savings bonds and cash scholarships!!! 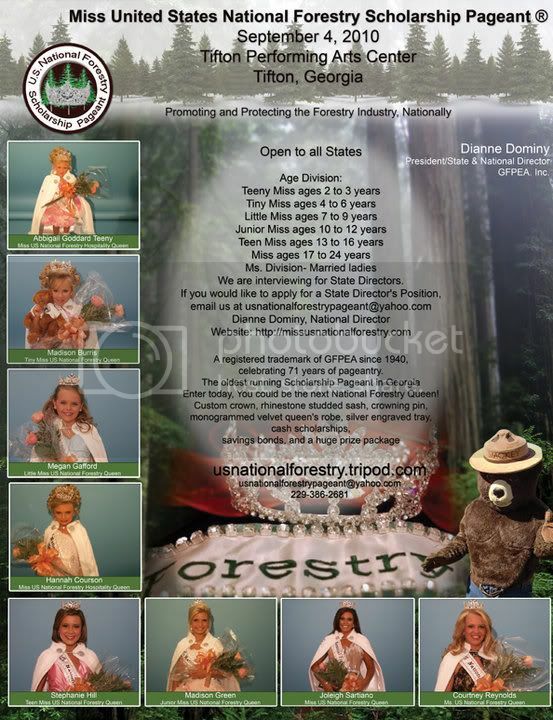 The Miss United States National Forestry Pageant is a trademark of the GFPEA celebrating their 70th year anniversary! "Promoting and Protecting the Forestry Industry, Nationally"
If you would like to direct a Forestry Pageant in your state, please contact us! Subject: Koie's Dresses are 4-SALE! Pink flower girl dress size 6 2007 AGM Supreme winner! 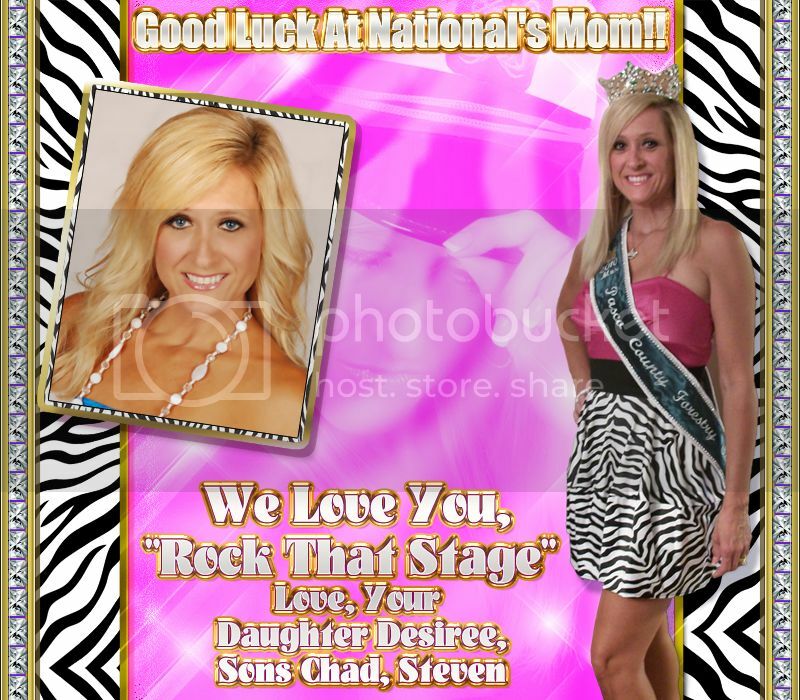 Perfect for face pageants! White flower girl dress size 6 2008 AGM and Beary Special winners! Subject: GOWNS FOR SALE-WORN AT COMPETITIVE STATE PAGEANT!!!! Miss GA and Miss National April Hollingsworth, Teen Miss National Tess Hammock, Junior Miss GA Forestry, Rachel Snow, Little Miss GA Forestry Morgan Thornton, and Miss GA Forestry, Brooke Reese attended the Georgia Ag Day at the Capitol today. They were invited by Governor Sonny Perdue. They first attended the Capitol and had a private photo session with the Governor, then they went to Railway Depot for the Georgia Ag Day festivities. I am proud of you girls. They produced a commercial this past week that will be aired on all the Florida television stations and they also were special guests at the Florida State Fair. Way to go girls! Subject: Congratulations Haley Robertson Miss United States National Forestry Hospitality Queen!!!! The City Commission has Officially Declared Oct. 7th "Haley Robertson Day" for the City of Marianna, Florida!! Congratulations Haley, I am so proud of you!! Subject: The National Forestry Queens and the Florida Forestry Queens have been invited to Tampa, Florida. The National Forestry Queens along with the Florida Forestry Queens will be traveling to Tampa, Florida this Saturday to participate in the Gasperilla Parade. Their float will be shaped like a pirate's ship. The girls will be there at 1:30 P.M. to be interviewed by television. The parade is televised. This is an awesome opportunity for the queens. Please pray for safe travels for everyone. The Statewide Christmas Party will be held on December 13, 2008 at 7:00 P.M. at the ABAC Dining Hall in Tifton. The attire is Casual Christmas Wear. The party is for Local Directors, Local Queens, State Queens, National Queens and former queens. The fee is $15.00 per person, this includes the meal, decorations, DJ, and so forth. The fees must be mailed to Georgia Forestry Pageant, 3005 Clover Circle Tifton, Georgia 31794 by December 1st. Please include a self addressed stamped envelope for me to return your tickets in. This party is for all ages Babies through Mrs. The little girls can invite a friend, older girls can bring a friend or a date. Parents and siblings are welcome to. This is a family affair. We will have Santa Claus, Mrs. Claus, and the elves. Come enjoy a night of great food and dancing if you like, if you don't like to dance, just sit back and enjoy the music. Santa and Mrs. Claus along with the elves will be there to visit with the children. We hope to see everyone on December 13th. Subject: YAY!!! Amendment 1 Passed with Flying Colors!!! By an overwhelming margin Georgia voters approved Amendment 1 on November 4. Passage of this historic measure, supported by leading agricultural, environmental, sportsmen and business organizations, will lead to the implementation of the Georgia Forest Land Protection Act of 2008! AWESOME! Amendment 1, which according to one source drew the largest number of votes of any candidate or amendment IN ALL OF GEORGIA HISTORY, will provide protection from development for many of the state's large timberland properties. "Amendment 1 means that many landowners will be spared the decision to sell some or all of their property primarily due to an inability to pay property taxes," noted the Georgia Forestry Association's Steve McWilliams. "The people of the state have made it abundantly clear that they hold our forests in high regard." Yes Sir, Mr. Steve, we SURE DO!!! Miss Lacey's Dresses Can't be Beat! Subject: Christmas is right around the corner! Our statewide Christmas Party will be held on December 13th at the Abac Dining Hall in Tifton at 7:00 P.M. We will have a DJ and the Christmas Party will be open to all Local, State, and National Forestry Queens as well as Directors and former Forestry Queens. Each girl can bring a friend. The Christmas Party is open to all ages Baby through Miss. We will have Santa Claus, Mrs. Claus and the elves joining us at the party. We will have santa claus, dancing, and lots of good food. Dress will be Christmas attire! More details will come soon, I just wanted to let you know so that you can mark your calendars. The National Forestry Queens are here this weekend and are looking beautiful and are having a blast!! The rain cleared up and all the National Queens made it safely. 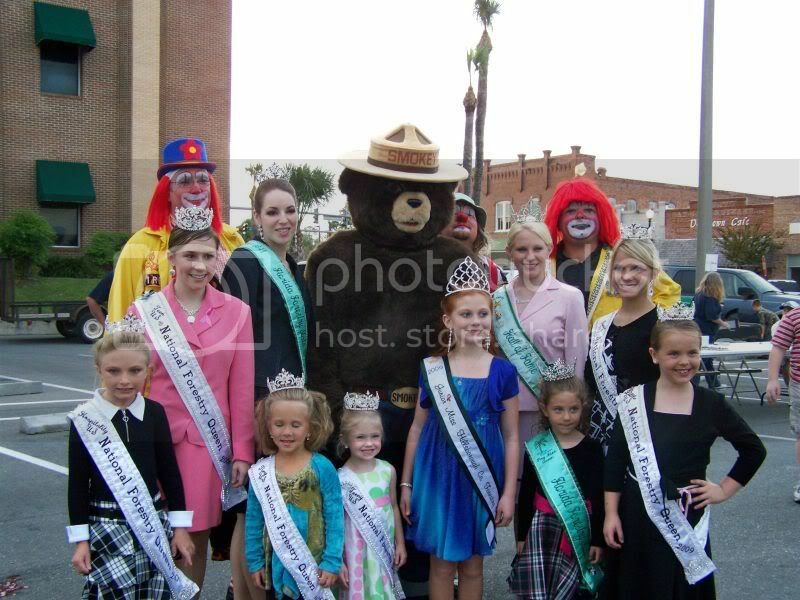 They were special guests last night at the festivities downtown...the National Forestry Festival Committee set up an area at the courthouse for the National Queens to sign autographs and meet and greet people. They were honored this morning at 8:00 A.M. with a reception in their honor and just finished participating in the National Forestry Festival Parade. They have met and talked with the Governor here along with numerous other state and national diginitaries. They are headed now to the Festival...one of the largest promoting Forestry Nationally. The queens will be special guests there where they will be interviewed onstage and by radio. All the National Forestry Queens are here except for Salee...we miss her and hate that she missed it. We will report more as we know. The second is a proposed amendment to the Georgia Constituion. House Resolution No. 1276 is designed "to encourage the preservation of Georgia's forests through a conservation use property tax reduction program." This is Amendment 1 on the ballot. Please encourage everyone to vote "YES" for Amendment One to prOtect our forest lands! I learned about this amendment at the regional Georgia Forestry Association meeting I attended here in Forsyth, along with lots of other great information. I am more convinced than ever that it is a huge honor to represent the most dynamic industry in the U.S.A! Can't wait to see all my sister queens and their families at the Florida Forest Festival this weekend. You guys drive safe and let's go have some fun!!! Big shout out to Ms. Vicki, Ms. Amanda and Ms. Dianne. Thanks for making this possible for us. We love you!!! 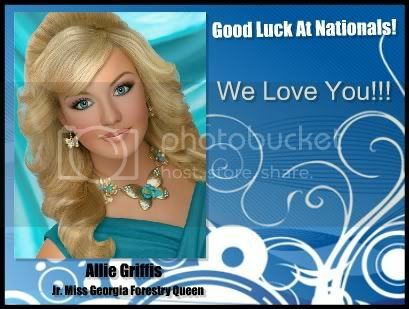 I want to wish Allie Griffis the best of luck at Nationals. You are such a sweet and special little girl. It is a true blessing to have you as one of my local queens and I know you are going to do a wonderful job representing Telfair County. I will be there cheering you on every minute! Subject: Congratulation to our newly crowned United States National Forestry Queens! Congratulations to our United States National Forestry Queens and winners! We had a great turn out for the pageant with some beautiful girls! I want to thank Laura and Cheyanne for emceeing and Emerald for helping with the girls backstage. I want to thank Victoria, Connie, Shelley, Gene, Charlotte, Carla, Stephanie, and Shiree for helping me with the pageant. I want to thank Sistie for chaperoning our judges and I want to give a special thanks to our judges who drove all the way from northern South Carolina to judge our pageant. Thank you to Laura, Cheyanne, Emerald, Madison, Koie, and Skyler for being there to support each other and crown the new queens. You are true royalty! I wish you all the best in your future endeavors. Thank you to all the Local and State Directors who came out and supported the girls! Now for the winners! Who has the results of the winners this weekend? Congratulations to all the 2008-2009 National Forestry Queens. You will have so much fun this year. 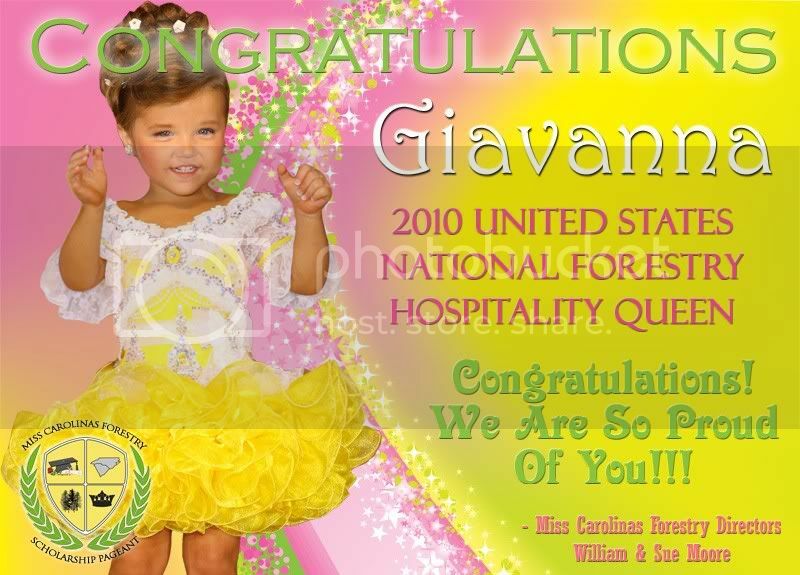 Love, Ejaye Craig, Miss US National Forestry Hospitality 2005. Congratulations, Haley! You were absolutely beautiful at Nationals! Way To Go Girl!!!! Subject: Beautiful girls you were. So delighted to see such a strong group of contestants at the National Pageant. It was an honor to attend this event. Hey Guys! Just wanted to wish everyone luck this weekend. I can't wait to see everyone again! I look forward to making new friendships and new memories. Be safe! 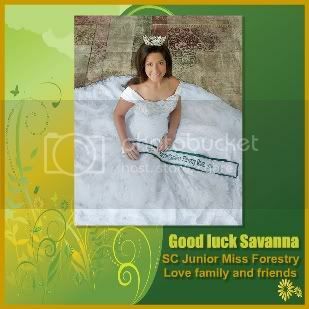 Subject: Happy Birthday Savannah Morris(2006 Jr.Miss National Forestry Queen) Aug.30th.We hope you have a wonderful day.Love,Your Family! Keri Lynn we all wish you the best of luck this weekend! 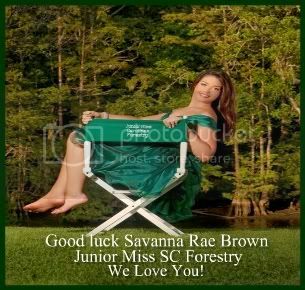 We are sure that the United States National Forestry Pageant would be honored to have you as their Teen Queen as we are honored to have you on our cheer squad. We will miss you this weekend since you will not be with us but we would rather you go after that crown. Be careful in your Johnathan Kayne's girl cuz we will need you back in your Nike's. We all wish that we could be there to "cheer" you on but we will be there in "spirit"
We will be waiting on your phone call to give us an update! Good luck CHEYENNE this weekend!!!!!!!!! !Most of all, have FUN!!!! 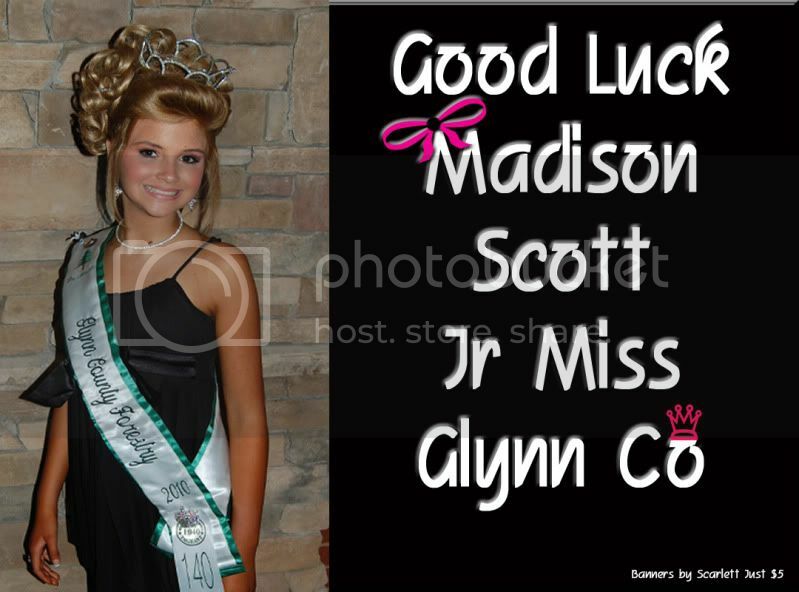 Can't wait to see our pageant friends at Nationals. Good luck to everyone, be safe and have fun. Mrs. Victoria; we love ya, thanks for all the hard work and hours you put forth. Hi Everyone! I am so excited to be coming this weekend. I had so much fun at State. Thanks to everyone for that. I met some special people and made lots of friends. Wishing everyone a safe trip - it is Labor Day Weekend, so please be extra careful driving. Good Luck to all the girls. Its almost time! and I cant wait to see all of my sister queens and forestry friends! I hope everyone has a safe trip and a fabulous pageant weekend. Good Luck Ladies, See you Saturday. Good Luck to all the girls competing in the National Forestry Pageant this weekend! I can't wait to meet you all and share this enjoyable and memorable experience with each and every one of you! May God bless each and everyone of you all with safe travels and a fun-filled weekend. Enter today and represent your county and state!